That was the experience of a two-week-old foal during a recent government roundup of wild horses on Bureau of Land Management (BLM) land in western Colorado. For an hour, the helpless baby, separated from his mother, bolted in panic as the thunderous helicopter chased him toward the pens where the rest of his family group had been trapped. 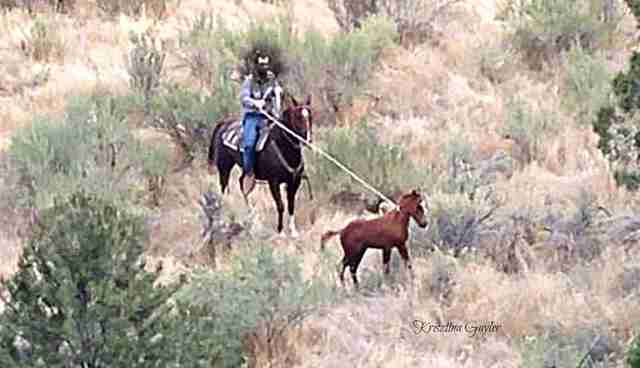 Eventually, wranglers on the ground roped the lame and exhausted baby foal. Once they determined that his leg had been broken after the long, exhaustive chase, they shot him in the head. 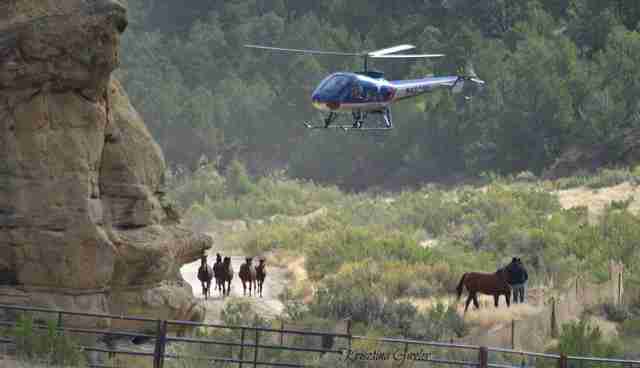 Each year, the BLM uses low flying helicopters to stampede thousands of wild horses so that they can be cleared from public land to provide taxpayer-subsidized grazing access to privately owned beef cattle. 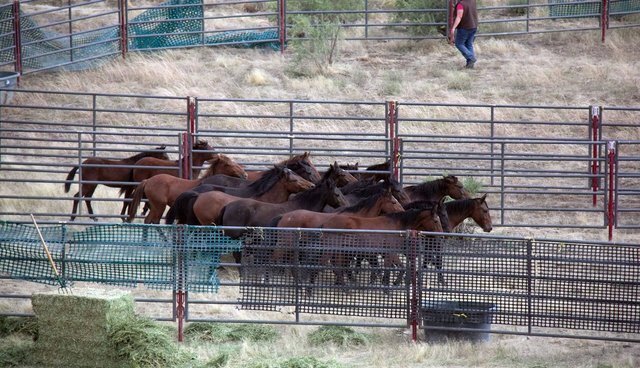 In every roundup, terrified horses are separated from their family groups and placed in holding pens to await transport. Anxious mares call out to their foals, and stallions injure themselves trying to defend or reunite with their families. Some horses are killed or injured in the roundups. Many more die in the holding pens after the capture operation is over. The majority of the survivors are condemned to spend their lives in captivity, far from their families and native grazing lands. And as if that weren't bad enough, over a period of several years, the BLM illegally sold nearly 1,800 wild horses for $10 a piece to a Colorado rancher and known "kill buyer" who resold the animals to slaughter. The BLM charged taxpayers $140,000 to deliver the horses to the rancher, who made $154,000 in profit by selling the horses for slaughter. Despite scientific recommendations for use of a humane fertility control vaccine as an alternative to roundups, the BLM spends less than one percent of its wild horse management budget on birth control and over 70 percent to round up and warehouse wild horses. 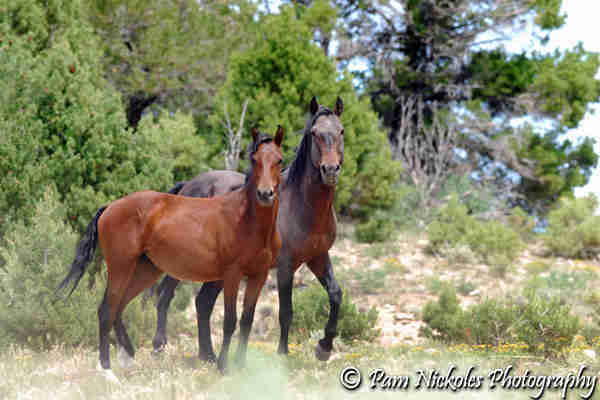 As many wild horses are now in captivity as remain in the wild. Wild mustangs are an integral part of our national identity, a symbol of freedom and the spirit of the true West. They range today on the North American lands where the horse, as a species, was born and evolved. The wild horse is our horse, both culturally and genetically. It belongs on our public lands, along with the wolf and bison. Three out of four Americans support protecting wild horses and burros on our public lands. Yet every year, public lands ranchers, and their allies in government, push to remove more horses, portraying these icons of the West as a destructive force and hoping that the public will simply fail to notice what is going on. Do you really want that to happen -- on your land? You can help stop the brutal and inhumane removal of these beautiful animals and make sure that inhumane practices like the roundup that killed that helpless foal become a thing of the past. Support The American Wild Horse Preservation Campaign and its work to keep our wild horses safe and free.